Mexico offers attractive options for foreign investors backed by ambitious reforms undertaken over the last five years, and looks to further harness synergies with Korean enterprises with a free trade agreement on the horizon, according to the chief of a Mexican state agency for internationalization, trade and investment. “Mexico is open for business. We are a country that for the last 30 years has chosen a path of trade and investment, internationalization, opening and liberalizing our market,” said the chief executive officer of ProMexico, Paulo Carreno-King, in an exclusive interview in late May at the Mexican Embassy in Seoul. In addition, he stressed, the government significantly improved the rule of law and legal framework to provide certainty to investors. “We completely changed our antitrust laws to foster more economic competition between players,” he added. Carreno-King came on an official visit to Korea from May 23-24 to give a boost to the already solid commercial partnership between Mexico and Korea. He met with corporate executives of Hyundai Motor Group, CS Wind, Samsung Electronics, Posco, Shinhan Bank and Shilla International, as well as senior officials from the Korea Trade-Investment Promotion Agency. The triple mandate of ProMexico is to promote trade, investment and internationalization of Mexican businesses, explained the CEO. The total trade between Mexico and Korea last year topped $19.2 billion, with the total trade volume increasing 68 percent since 2009. Korea largely exports to Mexico liquid-crystal display devices, optical devices and instruments, electronic parts, auto parts, vehicles, and electrical machines, appliances and equipment. Mexico largely exports to Korea crude oils, lead minerals and concentrates, zinc ores, silver ores, copper ores, electronic machines and devices, and porcine meat. Carreno-King said he had great expectations for the prospective bilateral free trade agreement, as the two governments have expressed their interest in entering into negotiations. “Our bilateral FTA talks have not even started, yet even without it we have achieved so much,” he stressed, adding Korea is the eighth-largest export destination for Mexico and the fifth-largest source country of imports. Mexico, which is a member of the Comprehensive and Progressive Agreement for Trans-Pacific Partnership, does not have a bilateral FTA with Seoul. The CPTPP has been signed but has not yet been ratified by its 11 member states: Australia, Brunei, Canada, Chile, Japan, Malaysia, Mexico, New Zealand, Peru, Singapore and Vietnam. Since the Trump administration scuttled the Obama-led TPP, as it was formerly known, the remaining 11 countries have agreed to forge their own multilateral free trading regime, which still accounts for 13.4 percent of the global gross domestic product or $13.5 trillion. The figure makes it the third-largest trade bloc after the North American Free Trade Agreement and European Union. Mexico is also part of the Pacific Alliance -- a Latin American trade bloc of Chile, Colombia, Mexico and Peru, which all border the Pacific Ocean, and accounts for 35 percent of the region’s gross domestic product and 210 million people. Pointing to the ongoing North American Free Trade Agreement negotiations, he said the three countries are working hard to update to current realities the trilateral regional accord that has brought tremendous economic benefits for the last 25 years. 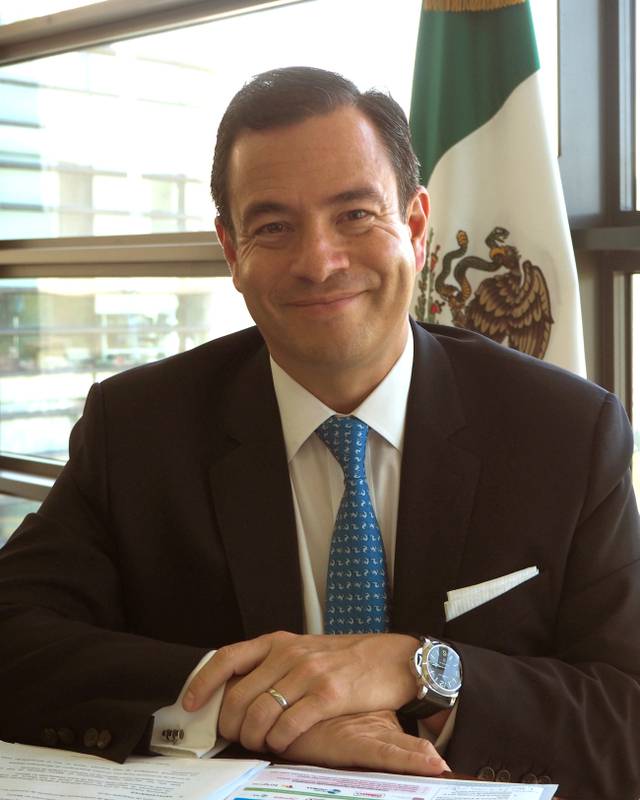 Before his current job, Carreno-King was the deputy minister for North America at the Ministry of Foreign Affairs from 2016-17; head of national branding strategy and international media at the Office of the Presidency from 2015-16; and an executive director at Grupo Financiero Banamex and spokesperson for Mexico at Citigroup previously.